When my short story Light and Shadow appeared in Analog Magazine (1994), it was my first published story. It was also began The Saga of the Skolian Empire, also known as the Ruby Dynasty series, which has grown to include at least 14 novels, plus several novellas and a number of short stories. Roland Green at Booklist described the series: "Asaro's portrait of interstellar intrigue, weird socio-political customs and galactic history has come to approach the neighborhood of such classics as Frank Herbert's Dune series." In 2011, when I was a Guest of Honor at Windycon, they released a limited edition anthology to accompany my appearance. Published by ISFic Press, the anthology collects some of my novellas and short stories into one volume and is titled Aurora in Four Voices after the Hugo and Nebula nominated novella of the same name. The Nebula-award winning story "The Spacetime Pool" is also included in the anthology. 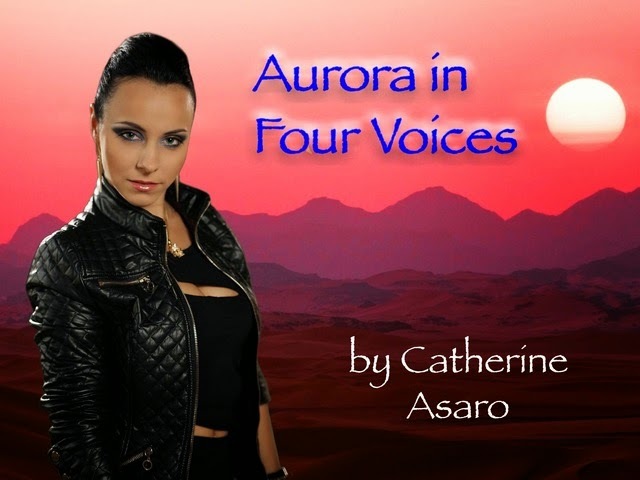 With the increasing popularity of audiobooks, I would like to have the Aurora in Four Voices anthology recorded as an audiobook for those who enjoy listening to stories. My experiences as a writer, dancer, actress, and singer have made me keenly aware of the different forms that storytelling can take, and a well-narrated audiobook adds new dimensions to a story. I'm excited for the opportunity to bring these stories to life in a new medium.